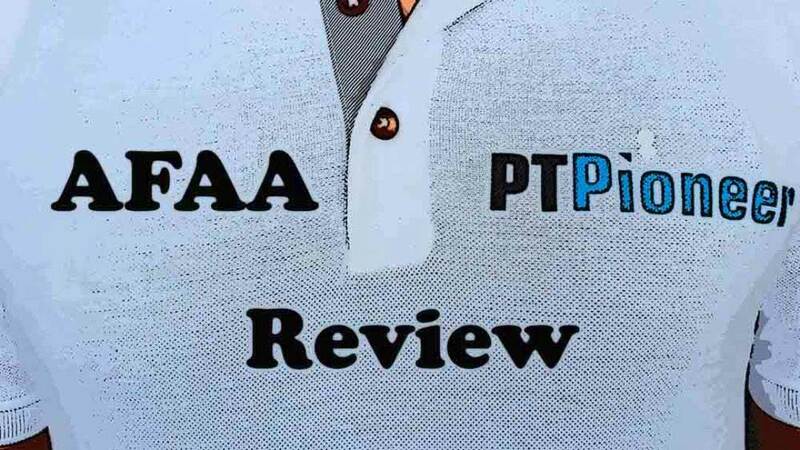 AFAA Review - Is This Personal Trainer Certification Legit? AFAA Review – Is This Personal Trainer Certification Legit? By the end of my AFAA review, you will have a better understanding of what you will learn from this certification. Whether you are looking for continuing education credits or as your first certification, you will know if it’s right for your style of training. 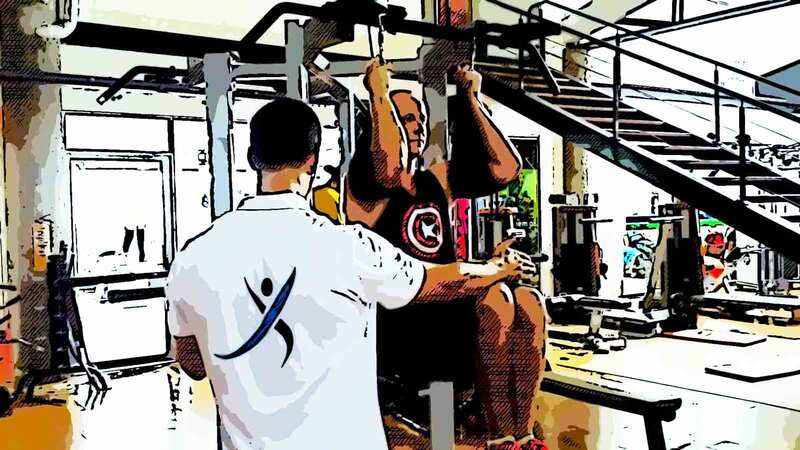 It’s also necessary that you check out my article on the top five training certifications as well as might guide on becoming a personal trainer from scratch. One other thing that I highly suggest is to Take the quiz to see which PT certification is a good match. Although 99% of online certifications are a scam, AFAA is in the 1% that are not. To be honest, it is not 100% online. They have a workshop that lasts three days. The AFAA is now a child company of the popular NASM certification. This is a middle-grade certification that I would put in the “general” category of certifications. Let’s jump right into this AFAA review to see what this certification is all about. If you are trying to get started in the personal training industry, I suggest that you check out my information on how much you can earn as a personal trainer. This certifying agency was started in 1983. I put it in the ‘general’ category of certifications because their program lightly touches upon each of the areas of personal training. It doesn’t go in-depth in any one category. Like any other ‘general’ certification, it focuses mostly on working with overweight individuals, healthy eating, and correcting sedentary lifestyles. Similar to most certifications, the AFAA requires that you recertify every two years. You need to gain continuing education credits to do so. The AFAA is NCCA accredited. Most of the certifications I talk about on this website are accredited by the NCCA. I think that the NCCA has stricter guidelines and is more reputable than the DETC in general. Although I think both accreditation agencies are excellent. Unlike most other certification tests, the AFAA includes a practical experience section in their exam. The majority of other certifications only offer multiple-choice sections. I think it is good to switch things up by combining true-false and multiple-choice practical sessions with written sections to round out your certification. Most certifications use a third-party testing center to create their exams, so it makes sense that those tests are only multiple-choice. ISSA is the other certification that tests practical knowledge. To get certified, you need to attend one of their workshops. You can find workshop locations based off of your area code if you go to their website. The workshop costs $499 and lasts three days. This price includes entrance to the examination, a study guide and a one-year membership to AFAA. The workshop will be led by an AFAA certified instructor. There are additional study materials you can purchase from their website. Their textbook will cost you $69. They also have a fitness assessment DVD for $20 and a practice test for $20. Overall you should expect to pay around $500 for all the study materials and the workshop. If you’re still having trouble finding which training certification is for you, Take the quiz to help guide you in the right direction. Most people say that the test is a lot harder than the practice exams they provide. Doing well on the practice exams does not ensure you will pass the final test. The study materials provided do not prepare you very well for the test. It’s not that the test is difficult; it’s just that the study materials do not match up to it. The workshop, on the other hand, I found extremely helpful. Getting practical hands-on experience is one of the most fun parts of becoming a personal trainer. Overall, I think it is an “okay” certification for beginners. I do not like the fact that it is not NCCA accredited. You should check with your potential employer to see if they accept AFAA. The gym I worked at when I went to school did not accept certifications that weren’t accredited by the NCCA. I would start out with a certification that has excellent study materials such as ACE or NASM. You will find it much more comfortable and less stressful going through one of those programs. They are highly recognized within the industry and have a fantastic curriculum as well as useful study materials. I suggest that you check out some of my other personal trainer certification reviews such as ACE, NASM, ACSM, and NSCA. Also make sure to check out my comparison certification section to see articles like NASM vs ACSM, ISSA vs NASM and NSCA vs NASM! I highly recommend that you check out the AFAA site for more information, and drop me a note in the comment section to let me know what you think about this review!